Part 70500 has both the 4pin and 5 pin Connector. Dual Port USB (Universal Serial Bus) Cables and Backplate from motherboard to back of case. 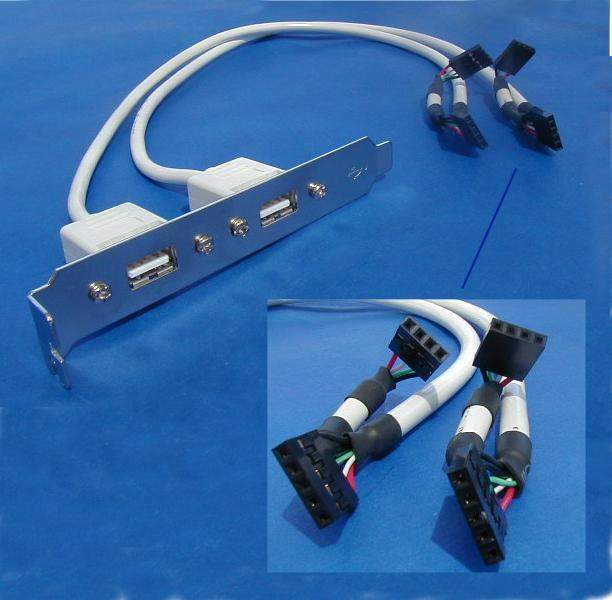 Allowing External connection of USB 2 (two) TYPE A connectors. Two sets of 4 pin row connectors to connect to main board. Fits Easily on Standard 2x4 Main Board Connector.